I'm quite pleased with how these turned out. It was a project that just sort of came together little by little. I had an old shoe box full of vintage fabric scraps that I wanted to do something with. I used some pinking shears to cut out some heart shapes not knowing exactly what I'd do with them. I eventually glued them onto some gift tags I had on hand. At this point they looked a little blah and I ended up loosing interest and I put them away for a while. About a month ago I came really close to throwing them away when I was organizing my craft closet but then decided to keep them just in case I thought of something to to with them. They stayed tucked away until a few days ago when I ran into them again. 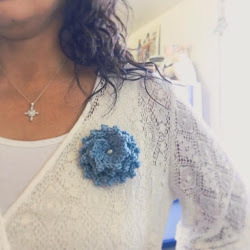 I brought them out and used a small hole punch to make some holes and added a pretty crochet border on the end. Wallah! That's all it needed. I'm so glad I didn't give up on them and toss them in the trash. I rather like how they turned out. They're a little charming in a vintage, scrappy kind of way. I have a new favorite tv series. I am always late finding out about these things because we don't have cable. We only get about five local channels with our antenna and the Hallmark channel isn't one of those. I wish! I happened to learn about this show while at a friends house. A commercial for it came on and I was intrigued. 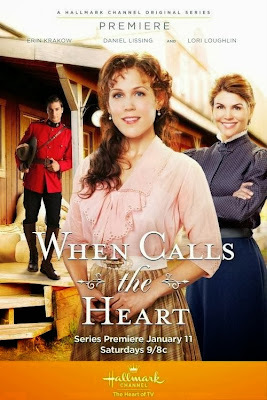 I did an internet search for it and soon learned that it is a Janette Oke book that became a Hallmark movie, that turned into a Hallmark series. I ordered the movie from Amazon and with a little more digging on the internet I found the series episodes on youtube. I've watched up to episode four. I love these type of shows. 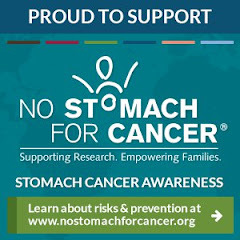 My whole family does. We have the whole series of Love Comes Softly on dvd. We also have Little House on the Prairie, The Waltons, Andy Griffith and a lot of other old timey family friendly shows. That's the kind of entertainment I enjoy. Have you seen When Calls the Heart? If you haven't, try it. The gift tags look really special. They would also make great bookmarks as well. Ahh! How cute are these? I have not seen this show, but I did see it advertized. I'll have to remember to try and catch it on tv. 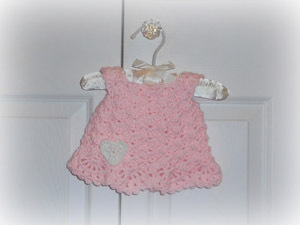 I absolutely luuuurve the crafty tags with the crochet edging! So sweet and cute. What a great idea! The tags are gorgeous Beka! It just goes to show its worth hanging on to unfinished projects that dont seem to be working, then to re-visit them another time. I like those kind of "comfort" tv shows too - am loving Cedar Cove at the moment which is showing in the UK now, another Hallmark production I think. 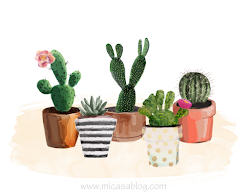 Hi Beca, wow I love how nice your blog header looks! 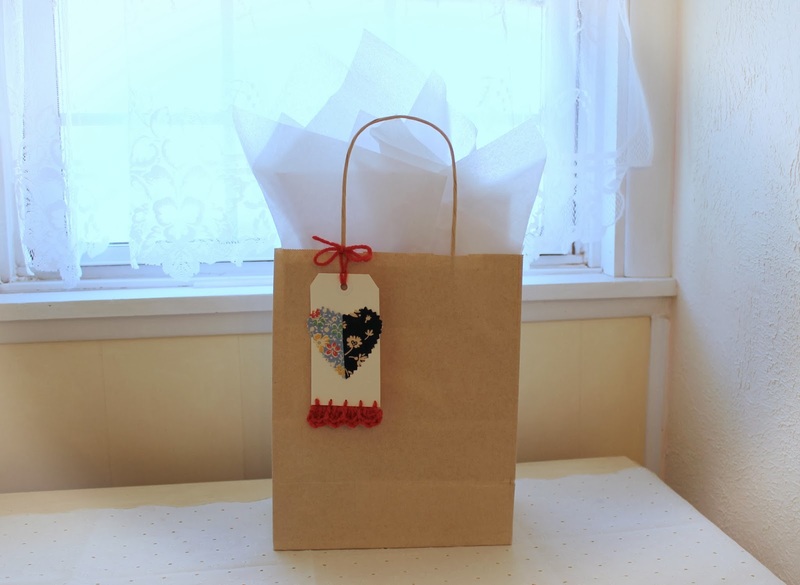 I love your little gift tags, they are really pretty. Wow it is a good thing you didn't through them out. I love how talented and creative you are and I love to see what you share with us all. Have a nice day. Your tags are so pretty, Beca. They have a perfect homespun look about them. I rarely watch V as there is nothing on I care about. I am so far behind the times, still using converter box. Definitely do not have cable. I would love to watch the Hallmark movies tho. You did super job on your tags. Would really make a nice addition to a gift. Have a nice and shinny day ! These are so sweet! What a special addition to a gift for someone. I'm very glad you didn't throw them away. Are there other paper products you've thought of adding a crochet border to? I think a plain notebook cover or card or something could use a cute border like that! 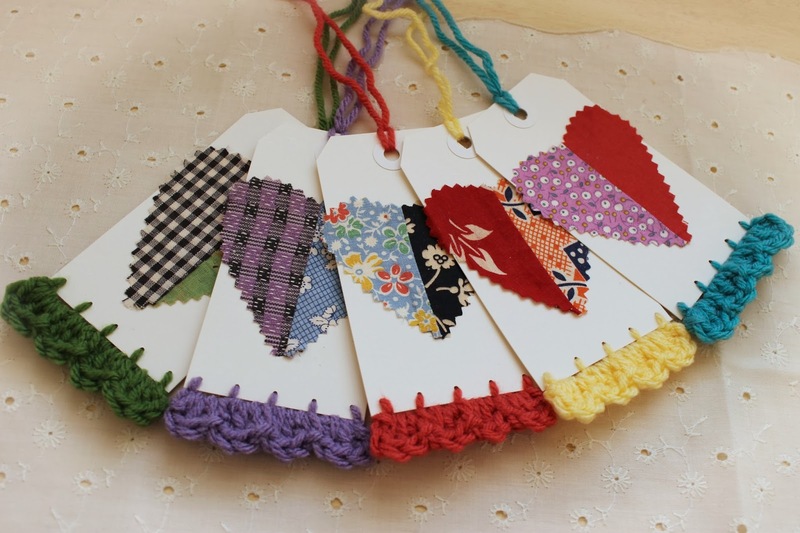 Ohhhh Beca.....those tags are adorable...you did a great job.Love them all...beautiful ...nice colors too. The tags are so adorable! 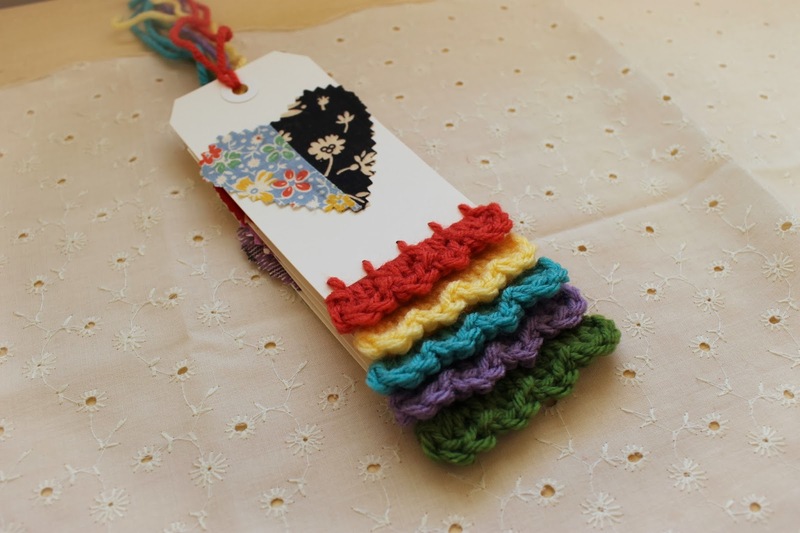 The crochet border makes a wonderful finish to the tags.